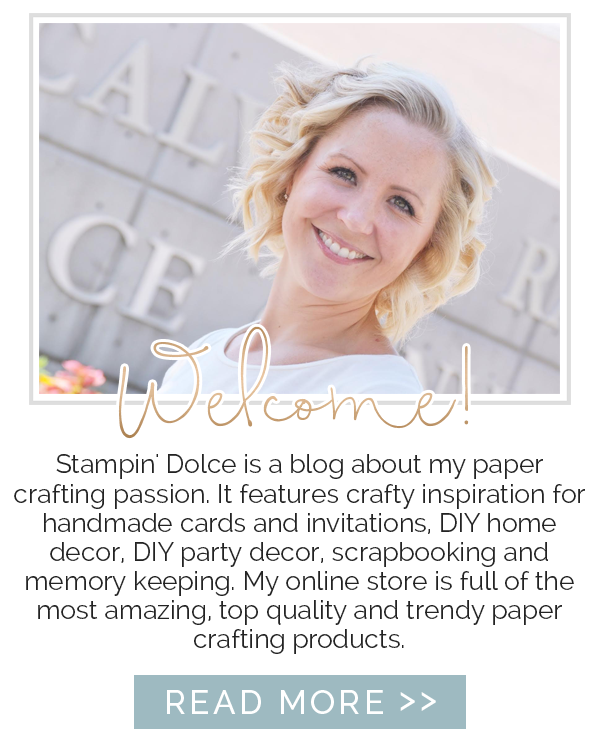 Stampin' Dolce: Leadership Artisan Samples 2015 - For the new two! 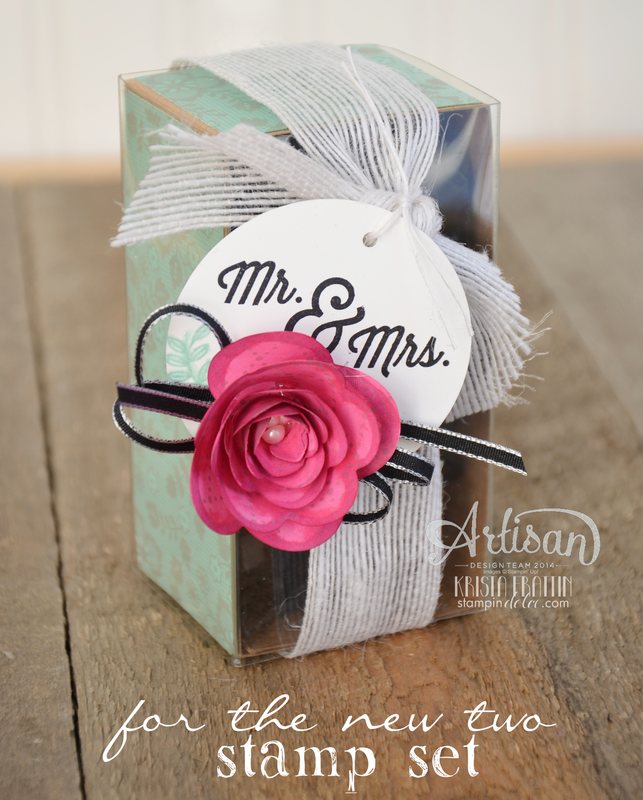 Leadership Artisan Samples 2015 - For the new two! 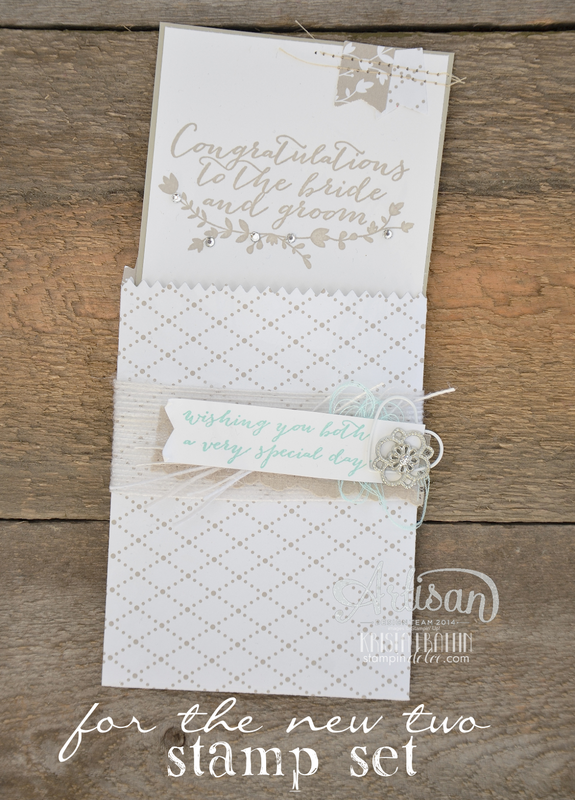 Welcome to our third week of the Artisan Design Team Leadership Samples 2015! If you have missed my previous two posts check them out here! 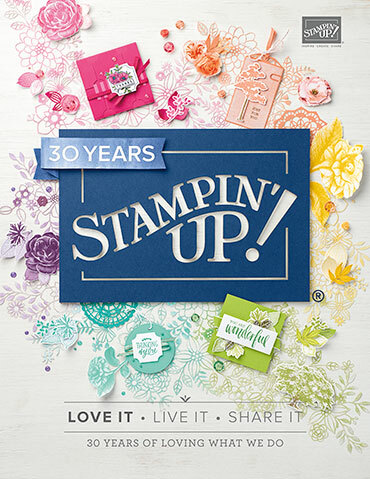 This week the product I was asked to focus on was the For the New Two Stamp Set! 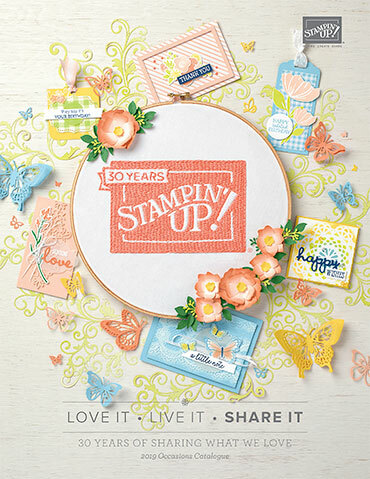 This stamp set has some beautiful and romantic products that coordinate perfectly! I was so inspired that I actually created four things with this set! 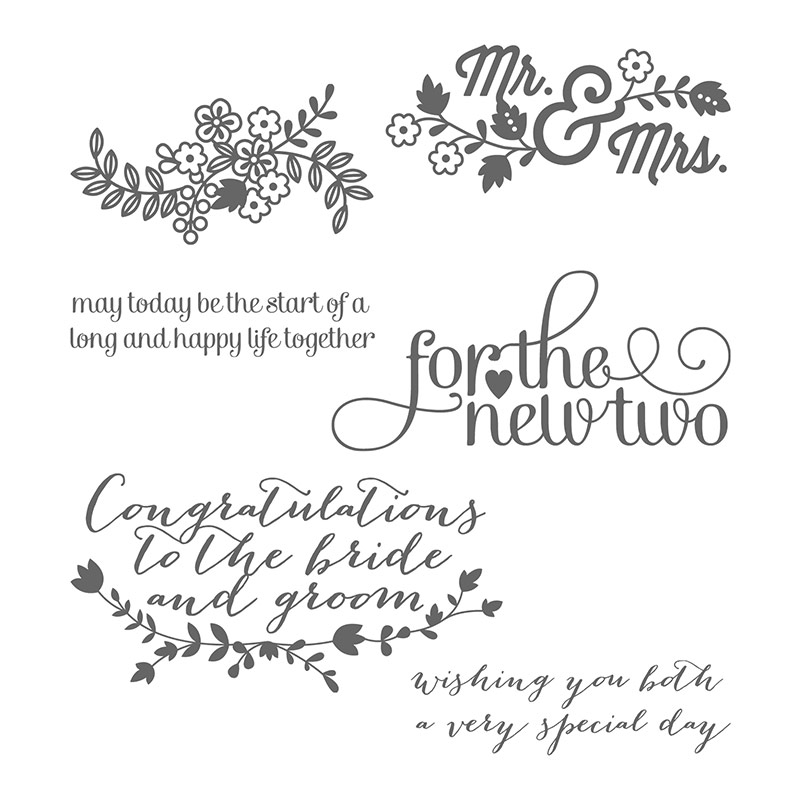 I wanted to create a non-wedding project with this set to show versatility! I am in love with this happy card! 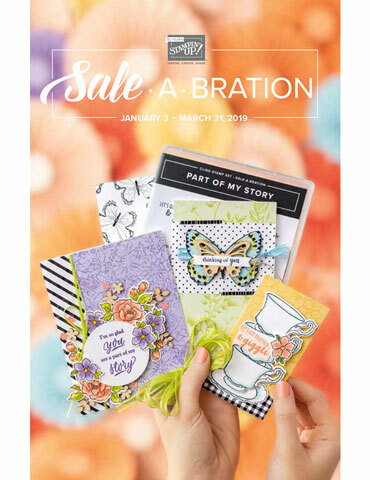 The treat bag die for the Big Shot makes pocket cards quick and super cute! 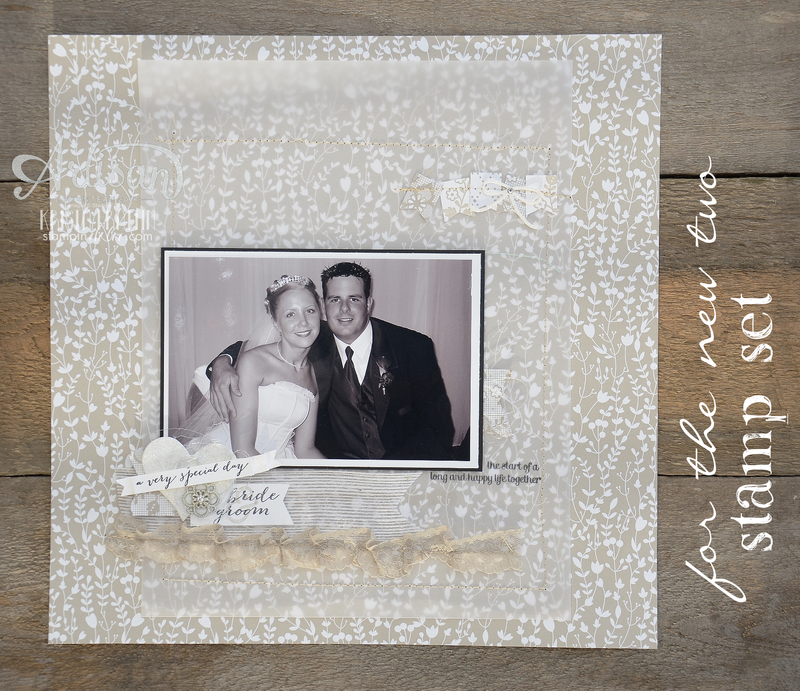 I cut down the Tag a Bag box with this project and wrapped it with the Something Borrowed Designer Series Paper. I colored the Paper with a Brayer and Classic Ink Pad. The Rosette was create with the Spiral Flower Die and the Big Shot. Before I assembled the flower I colored the Designer Series Paper with Blendabilities! This little bow came from the Mini Treat Bag Thinlit Dies. I love the stitching on this layout! It was perfect to layer a sheet of vellum over the Designer Series Paper with out having to use adhesive. Follow my fellow Artsians this week and see what they created for the display boards. I can say that all of the projects are stunning! Be sure to come back next Friday for our final post with our display board projects!